Christmas is a comin’! Christmas is a comin’! 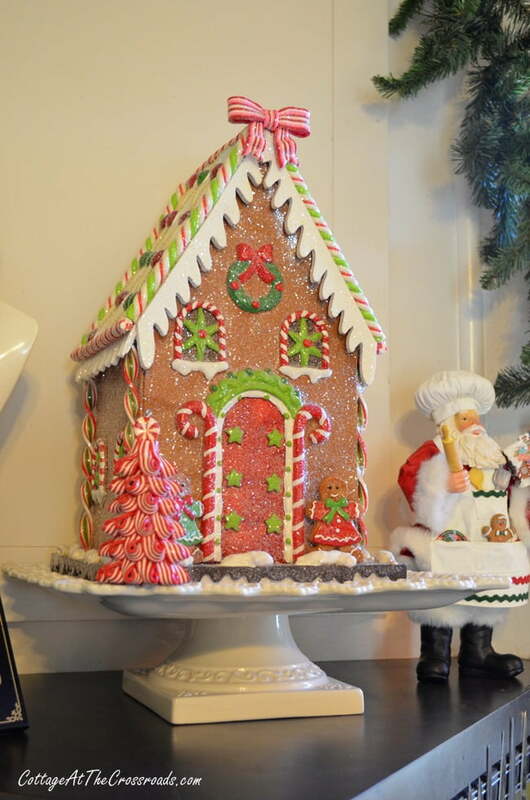 Our kitchen is all ready for Christmas with all of its gingerbread touches this year. 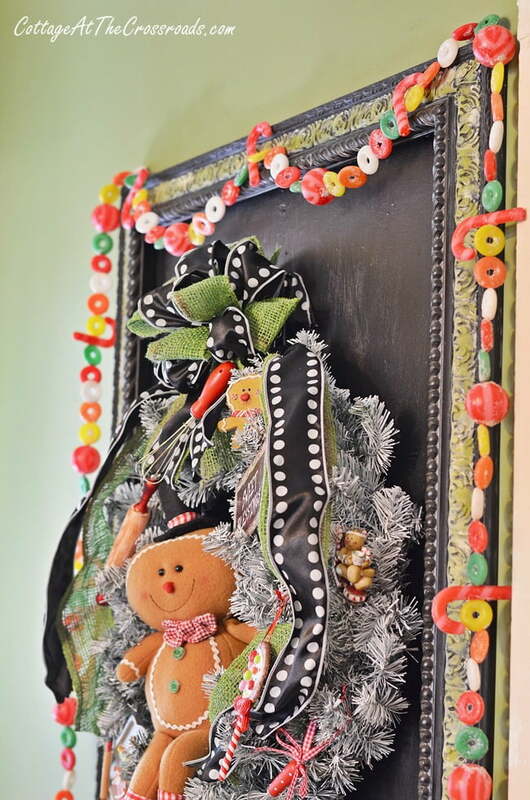 A few weeks ago, I showed you my Gingerbread Kitchen Wreath after I had finished it, but here it is looking even better after I added this candy garland around the chalkboard! I already had the garland and used it last year in decorating our kitchen, but I couldn’t find it for a few weeks. I was so happy to pull it out of the box and use it here. It used to hang in my friend Faye’s kitchen, and I bought it at her garage sale. Here it is, Faye, and you can see that it’s still bringing joy to us here at Windhams Crossroads! 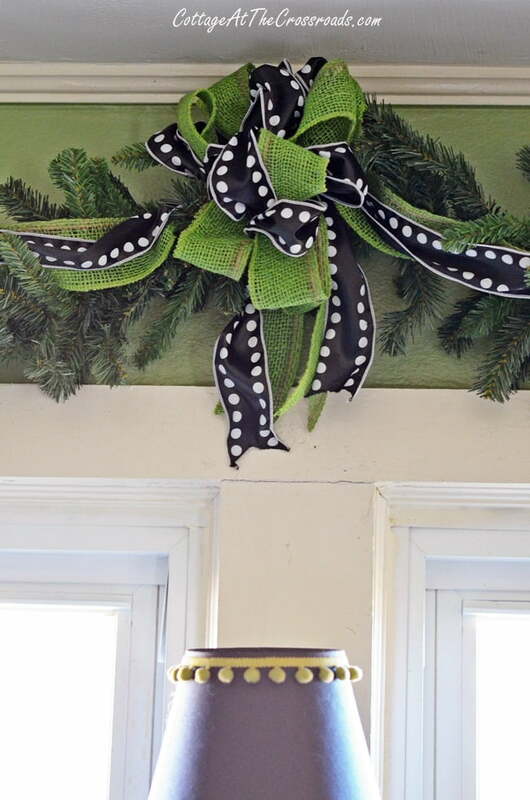 Another new thing that I added this year is this garland over the kitchen windows. My friend Marti taught me how to make bows with a bow maker that I had purchased at our church’s bazaar. So happy that I can finally make a decent bow! 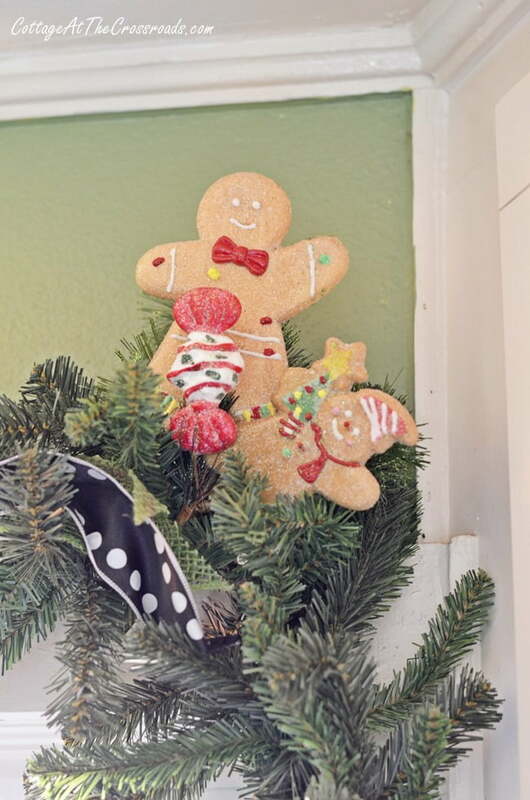 At each corner are these little gingerbread picks that I purchased from a local shop-Taylor’s Garden Center. I strung some vintage gingerbread cookie cutters and some cinnamon applesauce ornaments that I made last year over the stove. It is amazing how wonderful the little ornaments still smell after being stored away all year. On the shelf I printed a cute saying that I found on Pinterest and popped it into a frame. 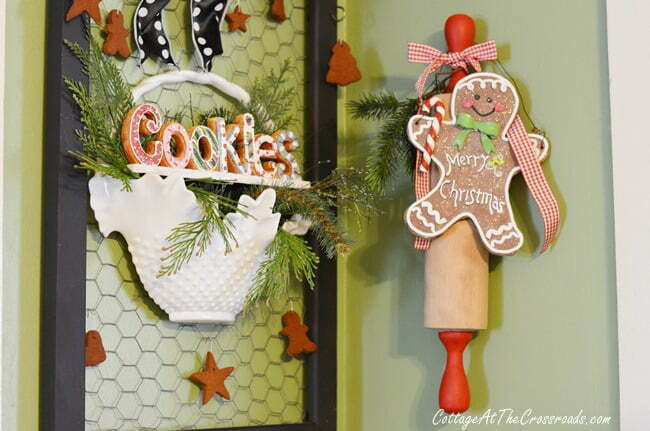 And do you remember how the gingerbread pot holder ran away last year and hid behind the stove? Well, I retrieved him and here he hangs! And what could be more Christmas-y than candy canes? 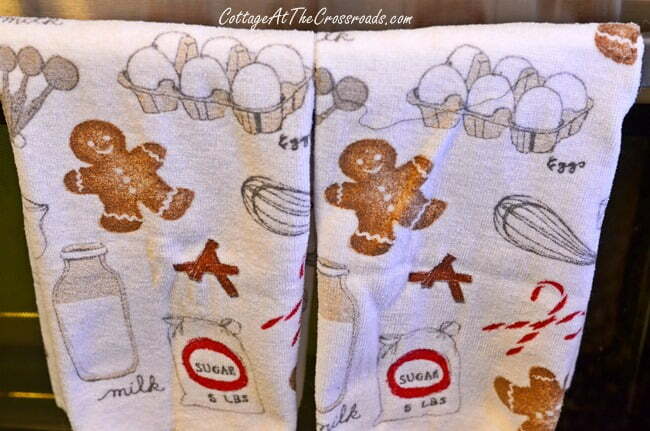 Gingerbread dish towels on the stove handle stand ready to catch any messes! Found those cuties at Kohl’s last year. 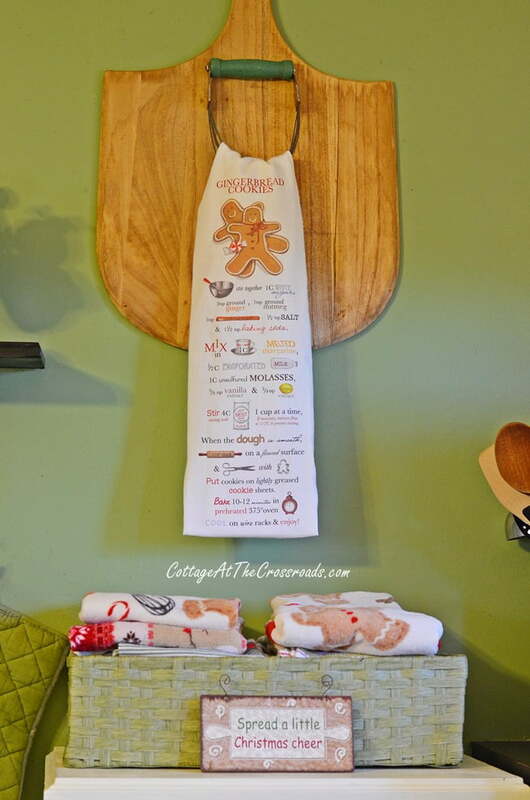 To the right of the stove, I’ve hung a teatowel with the recipe for gingerbread cookies printed on it. So handy to have it hanging in clear view, and because it’s there, I just have to use this recipe! 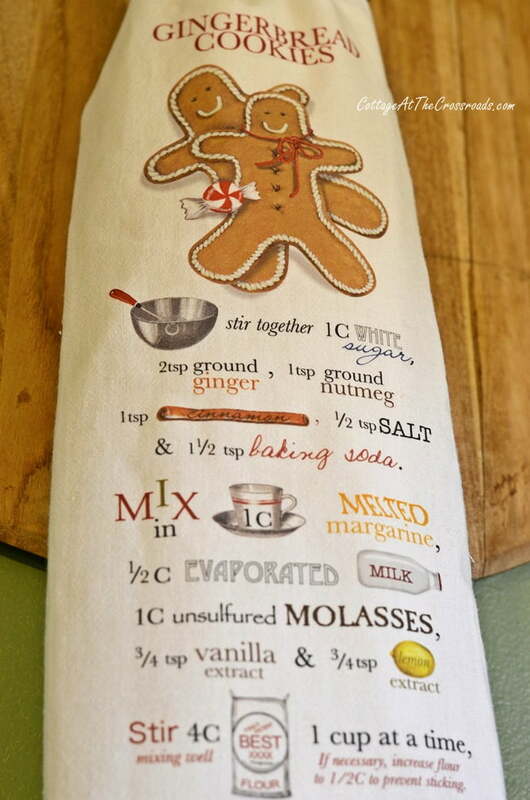 The tea towel is another Mary Lake Thompson item that I ordered from here:( Amazon affiliate link) Gingerbread Cookies Recipe Towel- Gingerbread Men Oh lawd! You should see all the cute towels that she has! I am in serious trouble since I’ve found her items on Amazon! In the corner I’ve put the gingerbread house and the Santa chef on display again. 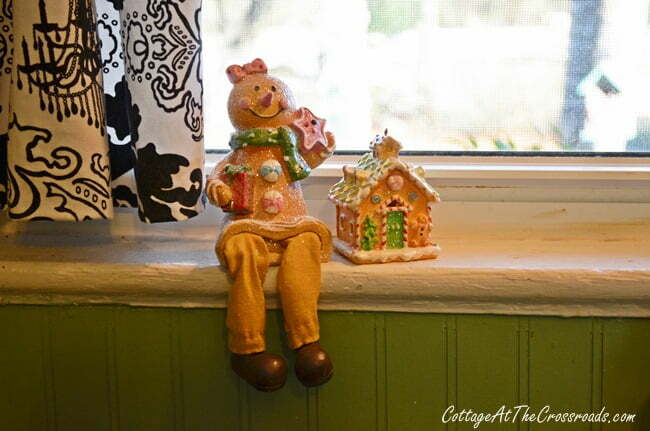 And sitting in the kitchen windows are a gingerbread girl and boy with little houses that light up at night. 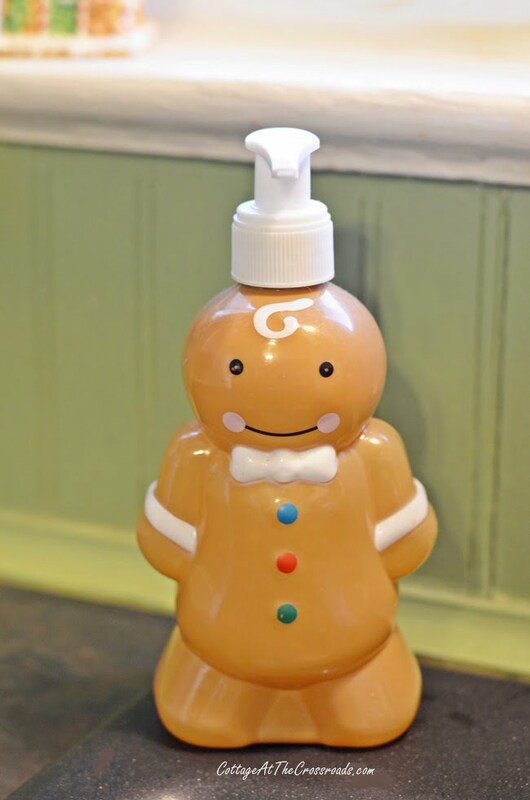 And at the sink is a gingerbread soap dispenser. Found that little guy at … gosh, darn, I forgot where I got him! LOL! 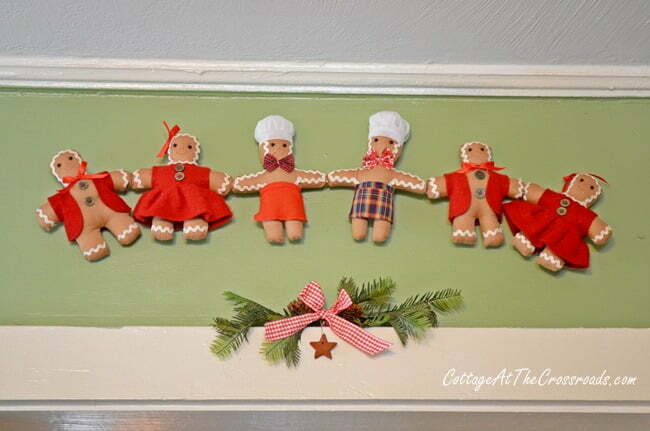 Above the doorway to the hall are more gingerbread people. I had them in the same place last year. 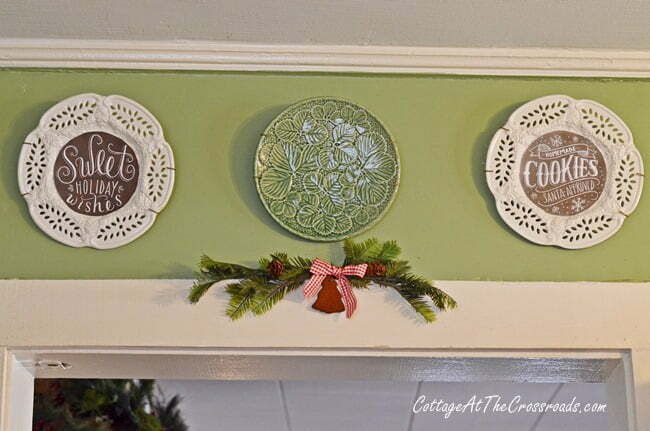 And above the other doorway to the dining room are these plates. Are you thinking that I took those plates down, painted them with chalkboard paint, and put those fancy drawings on them? Well, no. Blogger’s get great ideas by reading other bloggers’ posts! 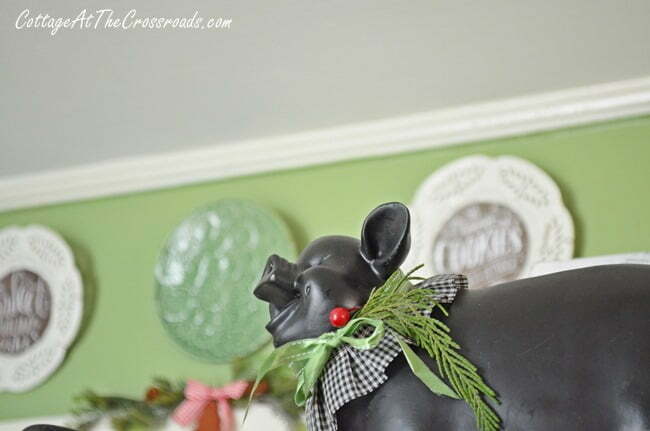 You can read how I did it in Beth’s post: Christmas Kitchen Decorating! I’ve already shown you this corner of the kitchen, but once I found those cinnamon and applesauce ornaments, I hung some of them right here. 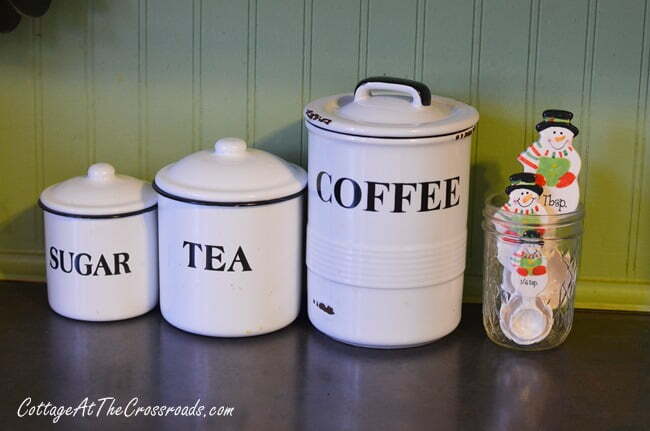 Little snowman measuring spoons are standing by along with other life necessities! Have I ever mentioned how much Leo and I love our coffee, espressos, and lattes? 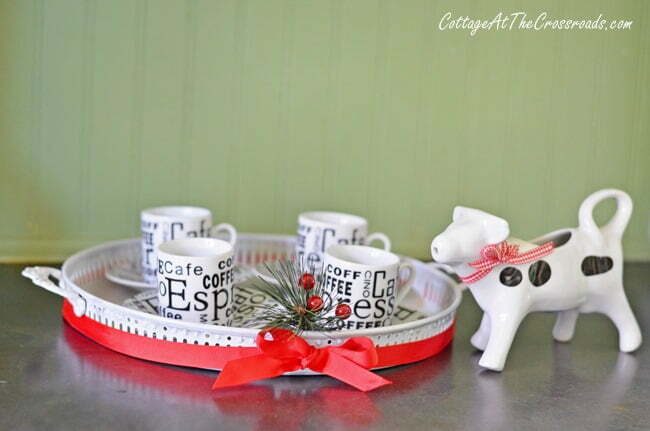 A good caffeine buzz will get you through the holidays! And this has nothing to do with Christmas, but I wanted to show you this wax warmer that I found at Walmart over a year ago. Yes, I’m just getting around to sharing that with ya, but I was happy to find one in black and white! Well, that’s the whole kitchen tour this year. Porch Chop is squealing with delight because he likes to eat gingerbread cookies, too! « P-touch Label Maker Giveaway! 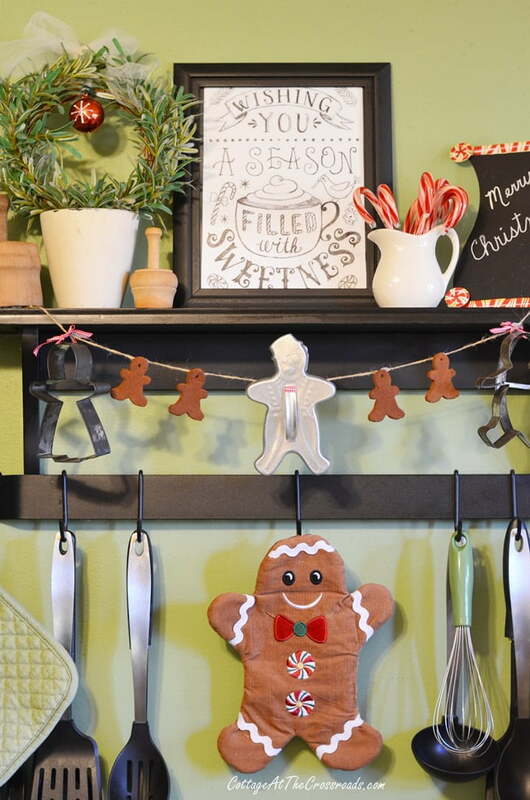 Oh your kitchen looks adorable and I love Gingerbread!! And everything is so neat. MERRY CHRISTMAS. Just finished this post and the Christmas porch post. I love what you have done! Everything is just great! 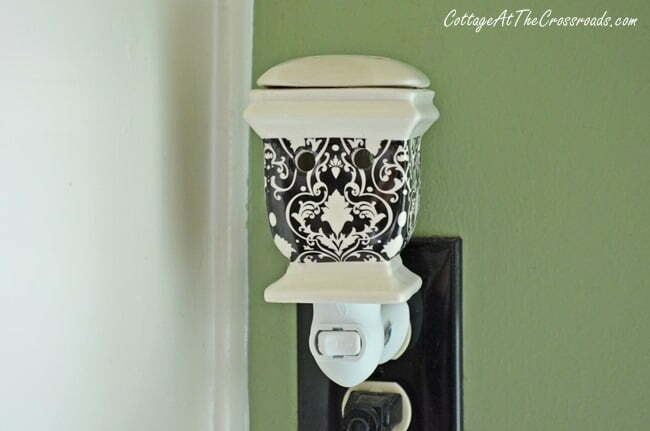 Love the sweetness of your kitchen, had garland like that in the early 80’s and was fun to use! Your kitchen is really cute,good job.Have a Merry Christmas. Your kitchen is just too adorable! Love it all. Your piggy is super cute too. 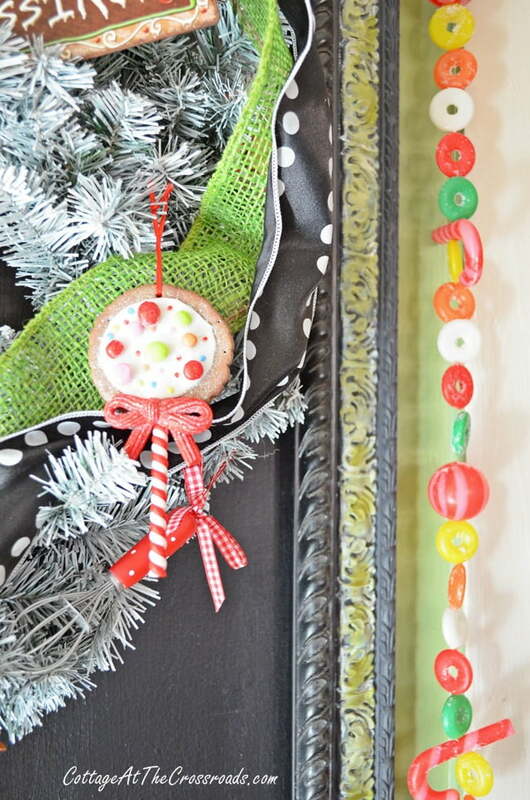 All your Gingerbread Christmas touches look wonderful. Enjoy your fabulous kitchen all dressed for Christmas. 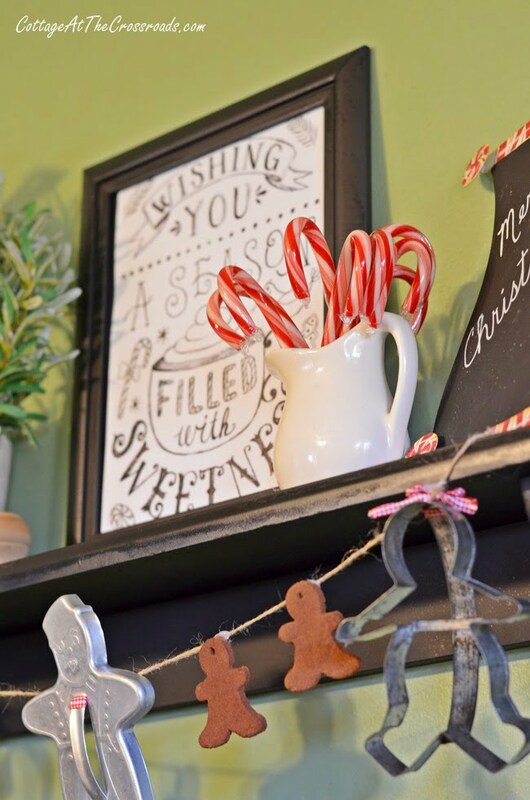 Love your Very “Sweet” Kitchen all done up for Christmas! 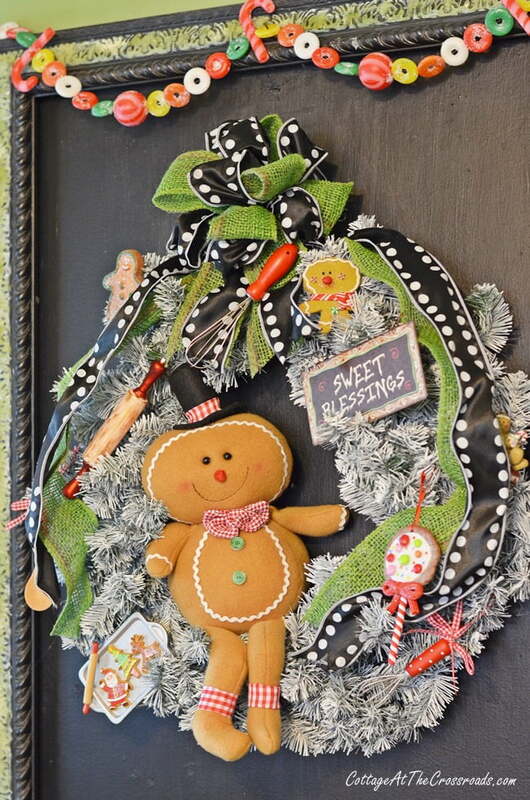 I love Gingerbread boys & girls and have a few in my Kitchen. Love the candy garland and your piggy. Thanks for sharing! It all looks fantastic Jane, I love the recipe on the tea towel and all the gingerbread touches. Your kitchen looks quite festive. Pinning!! Love it all! Taylor’s is the best place to find Christmas Decorations! Oh and I love gingerbread cookies too!….the cutest of Christmas kitchens!….just loving the gingerbread theme!…and I will take a cup of coffee too….I must admit I drink a pot of coffee by 10am!.. Oh my this is so cute…favorite things are of course the tea towel, the green and black ribbon, and the plates above the doorway. You have been busy girl! Very cute Jane. You always inspire me. This is such a cute kitchen. I’d stay there all day. 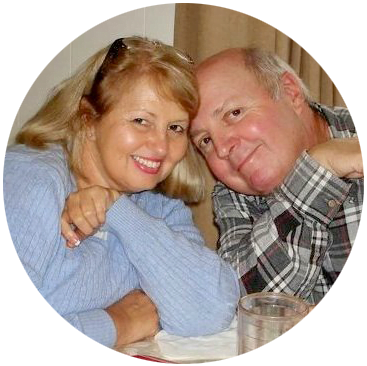 I’d love it if you shared this post at Holoday Best with Tumbleweed Conressa. I enjoyed the tour. I’m envious of all your energy and talent. This makes me happy. 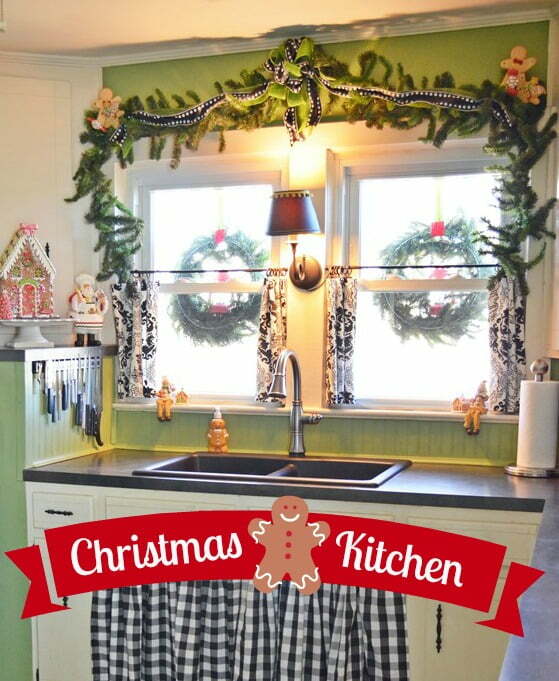 What a pretty kitchen Jane…your Christmas touches look wonderful! !